Will MS Dhoni get the better of Virat Kohli at Chepauk once again? It's that time of the year again. It's the time when every moment is worth being framed, every shot is worth a billion and every match counts like a penultimate final. And what better way to begin than a feisty encounter between Chennai Super Kings and the Royal Challengers Bangalore? What better way to see arguably the two most celebrated crickets across the horizon - MS Dhoni and Virat Kohli - go head to head in the opening game? Although it's been a huge rivalry over the years due to political and cricketing reasons and nail-biting finishes, CSK have always held a firm grip over RCB. They have beaten the Bangalore-based outfit a whopping 15 out of 23 times the two sides have met. And with the first game of the season fast approaching, we can expect CSK to get over the line once again versus RCB. There are obvious reasons for the above argument, of course, with the first and foremost being the home advantage. The pitch at the M.A. Chidambaram is a batting paradise, but no one other than Dhoni knows how it behaves in the night matches. Out of the seven games the two teams have played at Chennai, RCB have emerged victorious on only one of those occasions. Secondly, RCB are slow starters, owing to their nature of taking time to find their right team combinations. This time as well, the team will have fresh faces, a few of those who are heading into their first-ever IPL fixture. CSK meanwhile, are sure to field most of the players who have been standout performers for the last few seasons. RCB have another issue - death bowling. While Chennai have two proven death bowlers in Shardul Thakur and Dwayne Bravo, Virat Kohli was seen using Umesh Yadav in the initial overs itself. Moreover, Tim Southee and Mohammad Siraj leak runs in the closing stages of an innings. Experience holds key too. Most of the CSK stars have been students of the game and this tournament, whereas the likes of Shimron Hetmyer and Shivam Dube, who are expected to slot straight into the starting XI, haven't had a taste of the IPL's cruel nature yet. 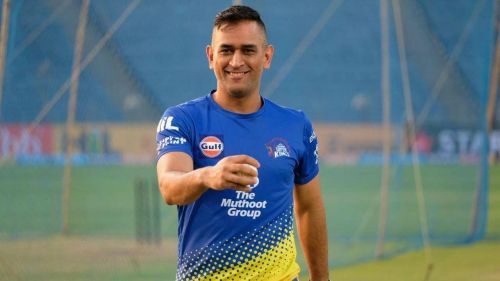 With all these factors coming into play next to the fact that MS Dhoni is on one side, we can expect CSK's dominance to take another giant stride.